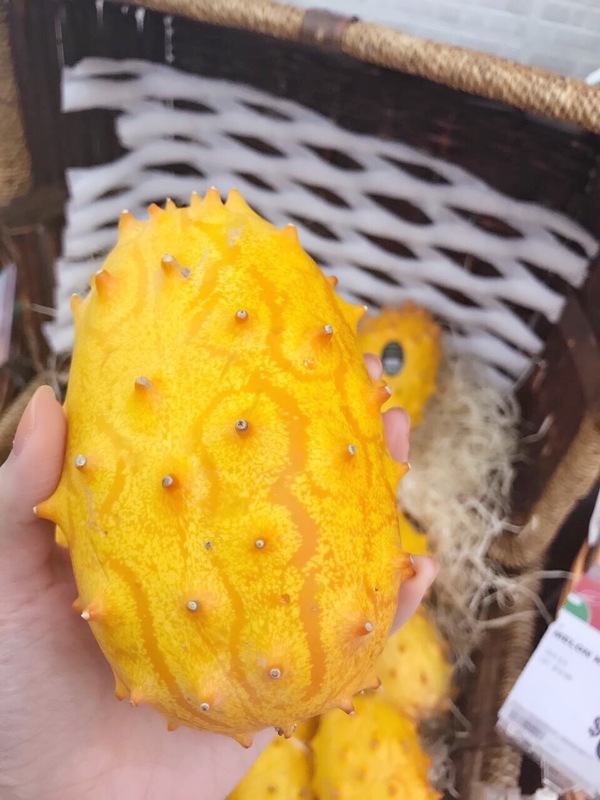 Came across these weird looking gourds in the supermarket the other day. 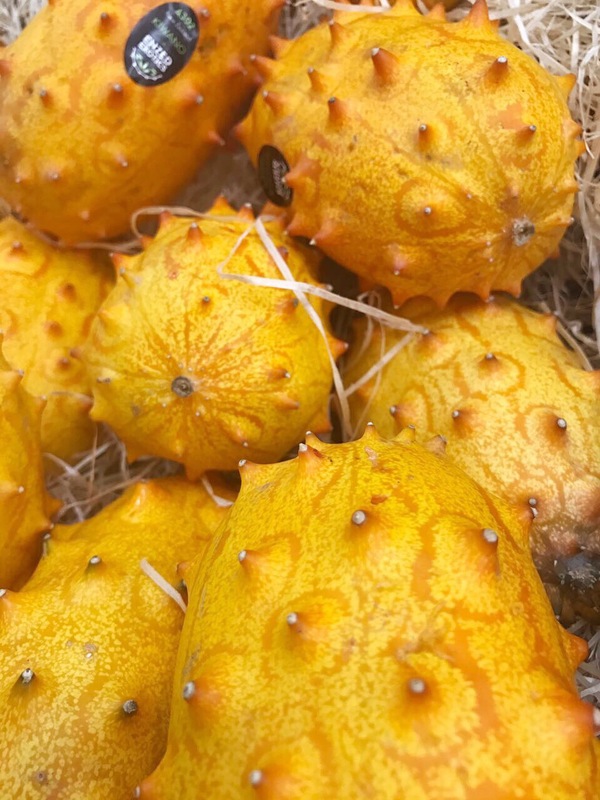 They were labeled as kiwanos. A kind of cucumber/melon hybrid. Also known as horned melons.